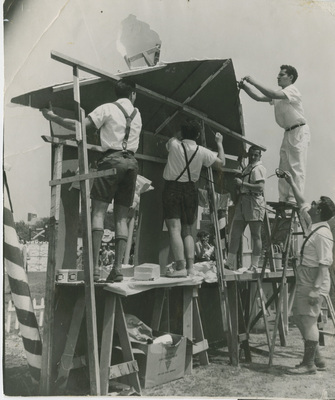 Black and white photograph of five male students working on a booth for the Country Fair. Four of them are wearing lederhosen. Undated.